H&M is proud to announce a special collaboration with fashion icon and legendary Fashion Director Anna Dello Russo. An idol of the blogosphere whose flamboyant outfits are endlessly documented by style photographers and broadcasted globally through the web, Anna Dello Russo proved her unique sense of style creating a special collection of accessories for H&M. Unabashedly glamorous, precious and playful, the range is an expression of Dello Russo’s taste for ornamentation. Available from October 4, 2012, at the peak of the global fashion weeks tour, in around 140 stores worldwide and online. The collection features jewelry, sunglasses, shoes and bags and a trolley allowing H&M customers uniqueness at an affordable price. 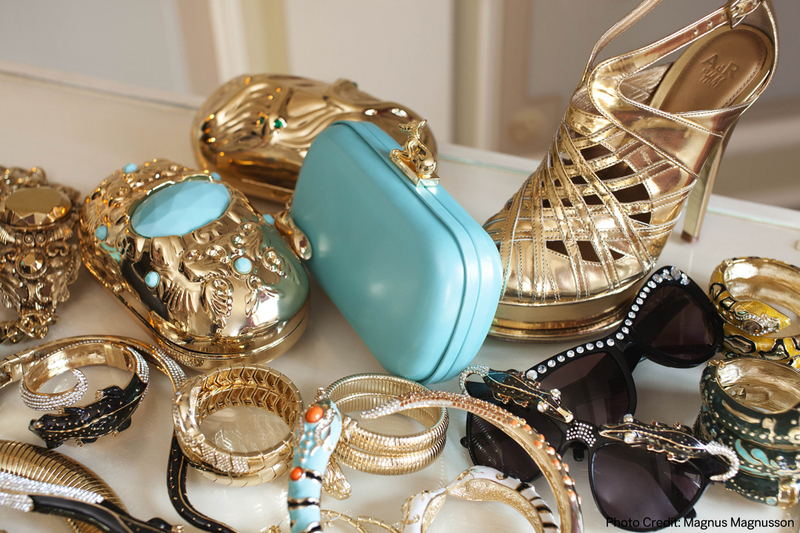 The turquoise clutch is beautiful! I can't wait for her collection !